A 2015 first-team All-American and the Kelly Award winner as the nation’s most outstanding goalie, Bernlohr burst onto the national scene as a junior with one of the finest goalkeeping seasons in Maryland history. He won a Maryland-record 15 games in net and led the nation in goals against average (6.95) while ranking sixth in save percentage (.571). He was named 2016 preseason All-American by Inside Lacrosse. Dunn was named third-team All-American in 2015 for his role in a Terrapin defensive unit that allowed a nation’s best 7.1 goals per game. He started 15 games as a junior and totaled 13 ground balls and 11 caused-turnovers while committing only two penalties. He also started all 17 games as a sophomore. 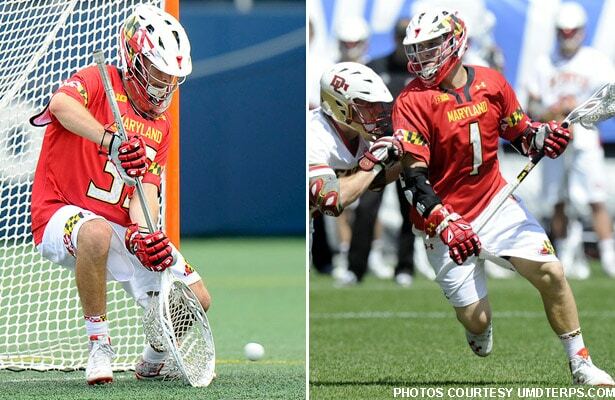 A 2016 second-team preseason All-American, Davis-Allen had a tremendous sophomore campaign for the Terps in 2015 as a lockdown short stick midfielder. A key member of the nation’s top-ranked defense, Davis-Allen collected 33 ground balls and four caused turnovers in 19 games. He also contributed offensively with three goals and an assist in transition opportunities. All-Big Ten as a sophomore, Rambo was an offensive force for the Terps in 2015, totaling 59 points on 40 goals and 19 assists. Rambo often saved his best for the biggest games, including a four-goal, two-assist performance in the NCAA Semifinals victory against rival Johns Hopkins. He was named a third-team preseason All-American by Inside Lacrosse. Young is the newest member of the Terps, having transferred to Maryland in the offseason after spending the last three seasons at UMBC. He was named preseason honorable mention All-American by Inside Lacrosse after recording 29 points in 2015 for the Retrievers. Young has recorded a point in 38 straight games and 41 of 42 games overall in his career.